To better match the right task with the right professional for your business, let’s break down these roles. The terms accounting and bookkeeping are too often used interchangeably in business, leading many to confuse the roles or assume they are the same thing. Even veteran business owners or professionals may be surprised to learn of the significant difference between an accountant and a bookkeeper, as well as the roles they perform. At first glance, these differences may sound like semantics, but the distinction is important because of one glaring difference between bookkeepers and accountants: cost. Because accountants typically charge a much higher hourly rate than bookkeepers, relegating basic bookkeeping tasks to an accountant will leave you heavily overpaying for basic financial services. 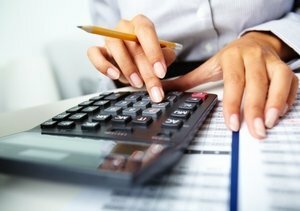 Bookkeepers vs. Accountants: What’s the difference? A bookkeeper is an administrative professional who follows a specific set of procedures or tasks related to the day-to-day financial management of a business. While specific skills, software knowledge and training may be needed, becoming a bookkeeper requires no formal education or certification. An accountant is a more specialized financial professional who handles higher level financial structuring and analysis for a business. Becoming an accountant requires a four-year college degree in accounting or in business administration with additional specialized training. Also critical is the distinction of Certified Public Accountant, or CPA, which is a higher standard of accounting professional who has completed sufficient training to pass the Uniform Certified Public Accountant Examination. This certification ensures that all CPAs operate according to standardized methods and ethical requirements. While some accounting firms — or accounting departments within large companies — may be made up of both certified and non-certified accountants, it is essential that at least one CPA holds ultimate responsibility for your business’s financial management. To better match the right task with the right professional for your business, let’s break down the tasks most commonly assigned to bookkeepers and accountants, respectively. Depending on the size of your business and the frequency of your bookkeeping needs, you may choose to handle basic bookkeeping tasks yourself, assign these tasks to an existing employee, contract with a third party bookkeeping service or hire a full-time bookkeeper for your company. Some accounting firms also offer bookkeeping services at a separate bookkeeping rate. Because these tasks, while important, tend to be relatively infrequent, most small- to medium-size businesses work with an outside CPA or accounting firm on a contract basis to meet their accounting needs. Too often, small businesses can tend to leave bookkeeping tasks undone or poorly completed, forcing the business’s certified public accountant to spend his or her time catching up with these tasks before they are able to complete higher level accounting duties. In fact, this issue is so widespread that many accounting firms maintain in-house bookkeepers to delegate these otherwise unassigned tasks! Particularly if you are paying your accountant on an hourly basis, this can mean spending a mint on administrative tasks that could otherwise be completed at a much lower cost. To reduce costs while maximizing the effectiveness of your financial team, work with both a quality bookkeeper and a certified public accountant, make sure they are using the same standardized methods and best practices and encourage them to communicate regularly. Understanding and properly delegating these roles will save you money and ultimately improve your bottom line.